When it comes to fashion, I am often a little slow, or reluctant, or too practical, to fully embrace the trends. I prefer style, which is more about being oneself, over fashion, which is ever-changing. 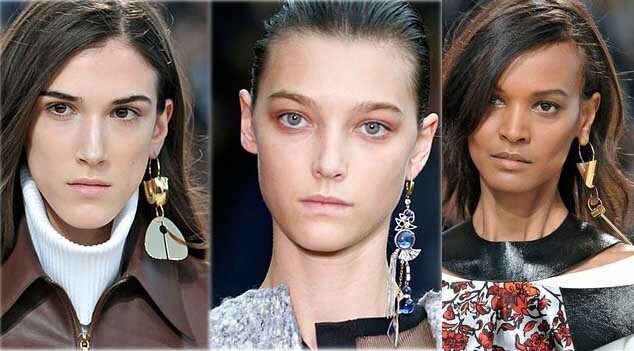 That is why you will probably never see me rocking the asymmetrical, single-statement-earring trend I’ve noticed on the covers of fashion magazines in the grocery check-out line. Neck pain. It’s a small price to pay for fashion. Hello? The 80s called… the decade in which many bad, bold, one-sided, amped-up fashion trends originated… and it wants its shoulder pads back! Because that area? Between my ear and shoulder? Needs more accessories. I tend to like timeless, subtle, versatile, and practical styles. And by practical, I don’t mean boring. For example, have you noticed the proliferation of the man bun? It has become a whole… THING… It’s a quick, easy and casual solution to maintaining shaggy hair on men, with minimal effort. This is a fashion statement one can grab hold of. I use the word ‘statement’ instead of ‘trend’ because it seems the man bun has been around for centuries. Hey, talk to the hand. 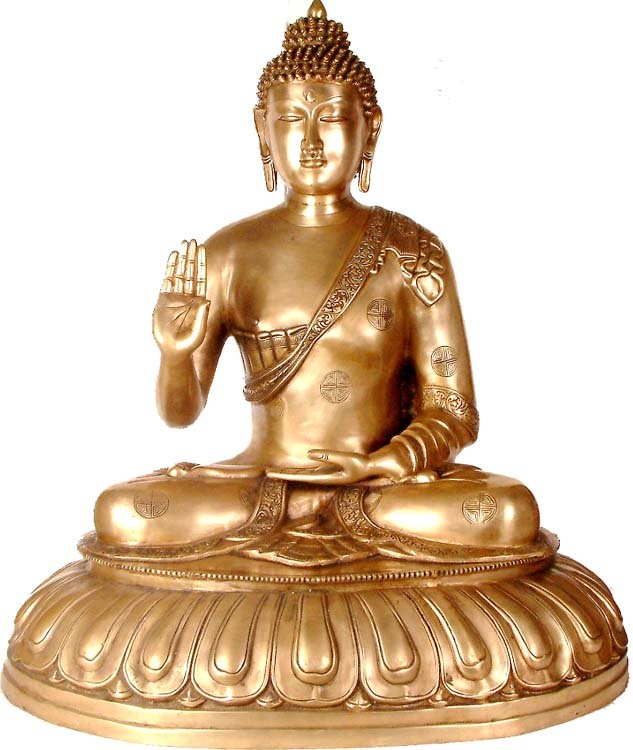 Even Buddha endorses the man bun. I admit that solo-earrings and man-buns have nothing really to do with each other, except that they are both current fashion trends. Both of which I seem to have opinions about (one I don’t like, the other I do) and am easily entertained by. Don’t get me wrong…. I can be a total girly-girl, but I don’t understand awkward, expensive, time consuming, uncomfortable fashion. I don’t get it. Those elements are quickly eliminated from my wardrobe. By now you are thinking to yourself “Self, this girl makes sense!” And I do! But, before you fully embrace my opinions about fashion and style, I feel it’s necessary to add a cautionary note. Because it wasn’t until about 4:30 yesterday afternoon that I realized that the shirt I was wearing was inside-out. And while I don’t think it was glaringly obvious (What. I brushed my hair!) perhaps I ought not be offering my paltry meanderings on current fashion trends. However, if you can look beyond my little foible and admit you may have done this once or twice yourself, then I think my opinions may still have some credibility. In which case, I offer you THESE. 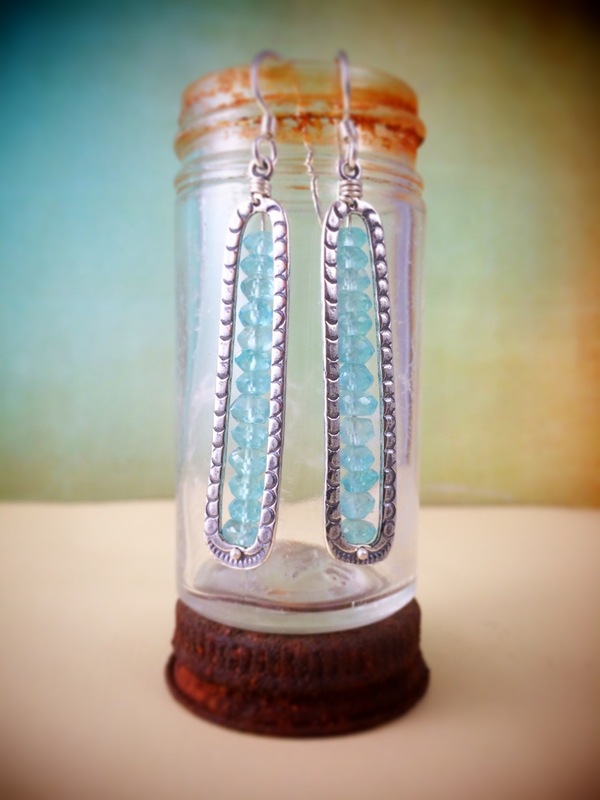 Pretty, hand-crafted earrings with faceted semi-precious stones stacked within a slender border of sterling silver. They are a perfect balance of sparkly, feminine, elegance and casual, rustic, simplicity. They have a Southwest flair without being overly so. And they are a PAIR!